Located on the Sacred Plaza in then main Urban Section of Machu Picchu, the Temple of the Three Windows is a large lithic structure constructed of three walls. The long main wall features three large windows which are orientated east, and the two shorter lateral walls were used to support the main roof beam. There are many theories as to why this building has three windows, most of which come from ancient chronicles written by Spanish conquistadores and prominent natives nobles; all of which seem to contract each other. Hiram Bingham believed that the three windows symbolized the place where the Incas originated. His theory was based on the written words of the chronicler Pachakuti Yanki Salqamayhua who says that after the great success of Manco Cápac (the legendary first Inca ruler) in creating the Inca Empire, he himself ordered the construction of the temple. The three windows were supposed to represent the three windows of his parents’ house. 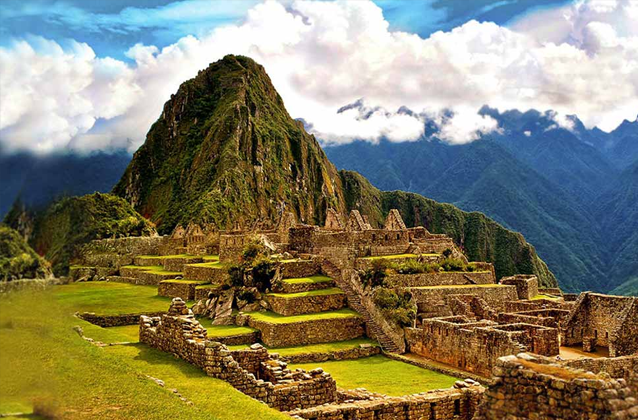 Interestingly according to Inca mythology Manco Cápac and his sister Mama Ocllo were sent from heaven, not from their parents’ house! Ticket to visit Machu Picchu in the morning.